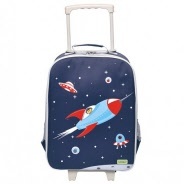 The ideal first kids suitcase from Melbourne-based Bobble Art. 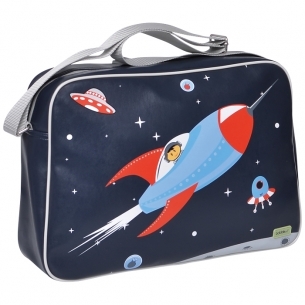 Perfectly sized, lightweight and versatile for all your child's home and abroad adventures. 3..2..1 Rocket away! 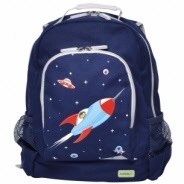 Handsome designs, longlasting construction and plenty of pockets.